Who doesn’t want to have glowing and blemish-free skin? We all know that there is no substitute for a good personality, but having great looking skin is important because it can boost your confidence, making it easier to just be yourself and go about your life without worrying what others are thinking. With the vast number of manufactured skin care products on the market these days, many people want to turn to a product that is natural, chemical free yet still effective. I may have stumbled onto just the thing! 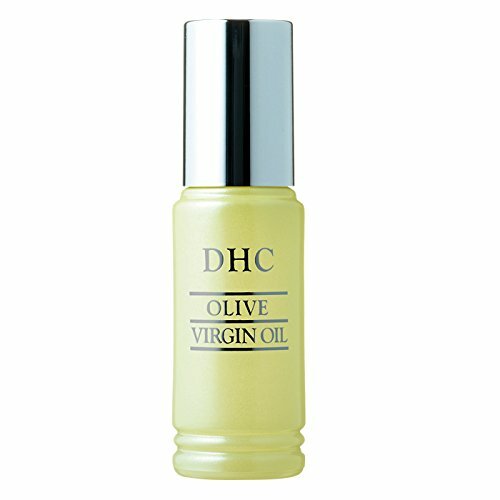 DHC Olive Virgin Oil, which is good for the skin. This facial oil can be used in two ways – by directly applying it on the face after it is cleaned and moisturized, or by making it part of a mixture for a facial massage. It is very convenient to use whenever one pleases. To add, it can give additional hydration for the skin when used together with a regular moisturizer. And the best part of it is that this particular facial oil supports the natural moisture barrier of the skin without causing irritation or clogging the skin’s pores. This facial oil is also rich in ingredients that offer its users several skin benefits. For example, this facial oil has an anti-aging property that could alleviate and even prevent the presence of premature skin aging such as fine lines along the eyes or wrinkles on the forehead. The facial oil also has the capacity to fight off free radicals that can be found in the environment so that glowing and young looking skin can be achieved. It should be noted that with all the skin benefits that this facial oil can offer, this product is very lightweight on the skin. There are facial oils that give a heavy feeling when applied to the skin, but such is not the case with this facial oil. To add, this facial oil does not leave your skin feeling greasy feeling when applied, so it can be worn daily. Another thing about this facial oil is that it is made from premium ingredients, particularly Flor de Aceite, the finest olive oil found pn the market these days. Each and every olive is organic and handpicked so that only the best ones are used as ingredients for the extraction of the olive oil. The facial oil is then purified in state-of-the-art laboratories in Japan, further speaking to the quality of the product. While DHC Olive Virgin Oil is acknowledged for its quality and features, it is not without some downsides that every interested buyer should know about. The first issue is that this particular facial oil can be considered a little expensive when compared to other facial oils within its type. This, however, is expected because of the premium quality and the many features of this facial oil. Another issue is about hydration, for some have given feedback that the facial oil does not provide adequate hydration for the skin. It should be remembered though although this facial oil provides hydration, it cannot be a substitute for moisturizers. It is recommended that this facial oil should be used together with a moisturizer. DHC Olive Virgin Oil. Although there are some issues with this product, most of the issues can be considered as minor ones that do not overshadow the overall performance of this facial oil. Most quality and premium products are expensive, and for this facial oil brand, the few additional dollars that will be paid to purchase this facial oil is worth it compared to the benefits one can enjoy when using this product. This is a facial oil brand that can be endorsed and recommended to others because it can live up to your expectations.